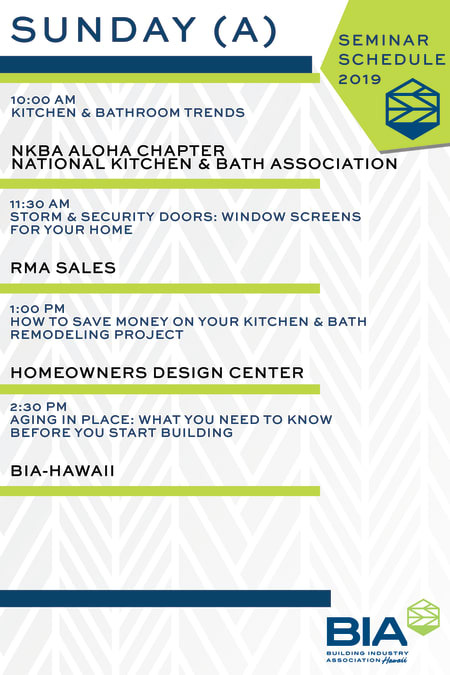 Select booth spaces are still available for the biggest Home Building & Remodeling Show of the Year! 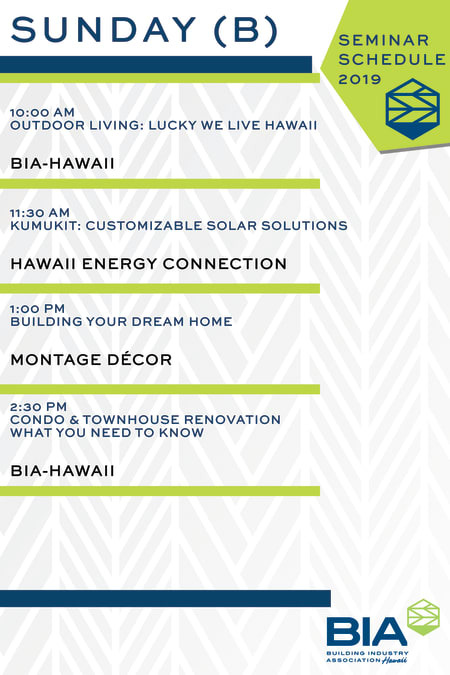 Exhibitors enjoy being in front of thousands of home owners looking for improvement solutions. You'll join an event with highly-regarded, vetted and trustworthy professionals. 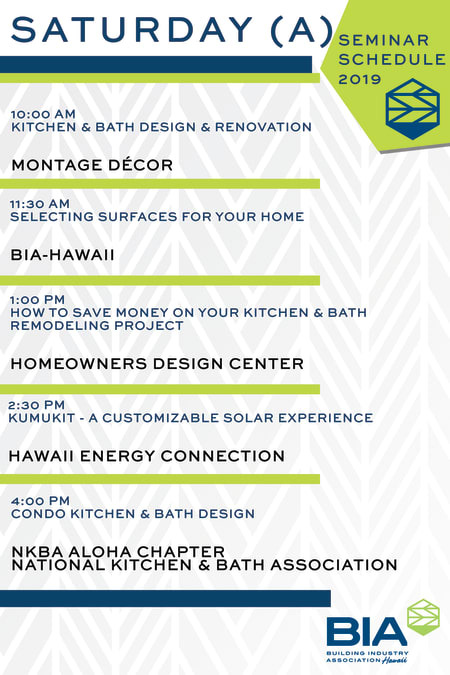 The BIA-Hawaii Home Building & Remodeling Show is a one stop shop for anyone looking to build a new or remodel an existing home. 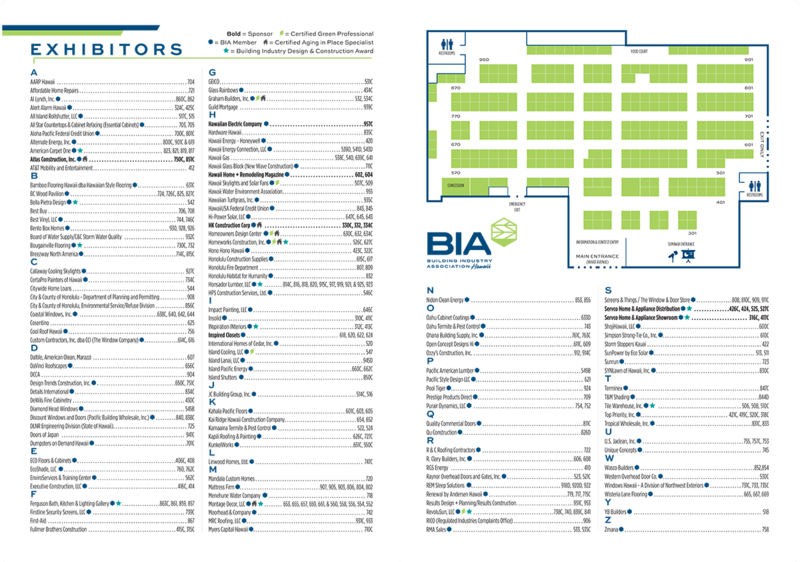 Our exhibitors are licensed contractors and suppliers in compliance with state laws and who have been reviewed by BBB and the Department of Commerce and Consumer Affairs for complaints. 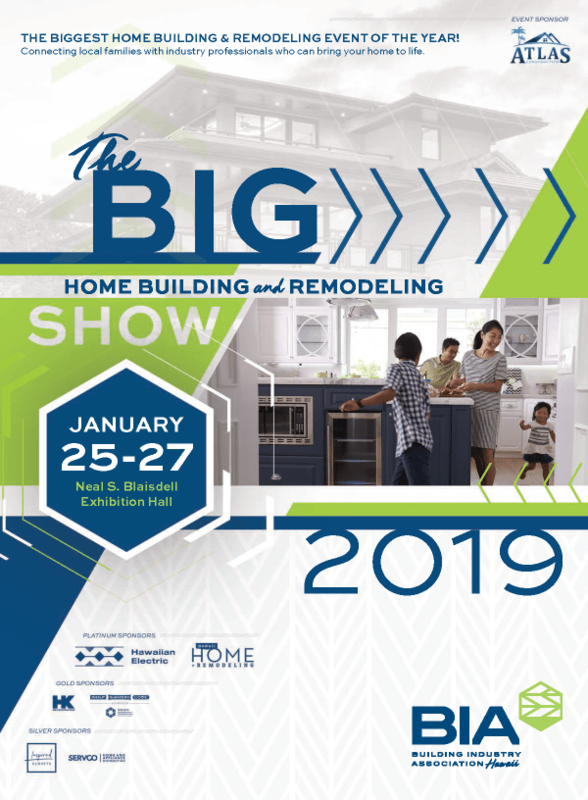 With approximately 30,000 attendees every year, the Home Building & Remodeling Show is a "must" for local homeowners and potential homeowners. 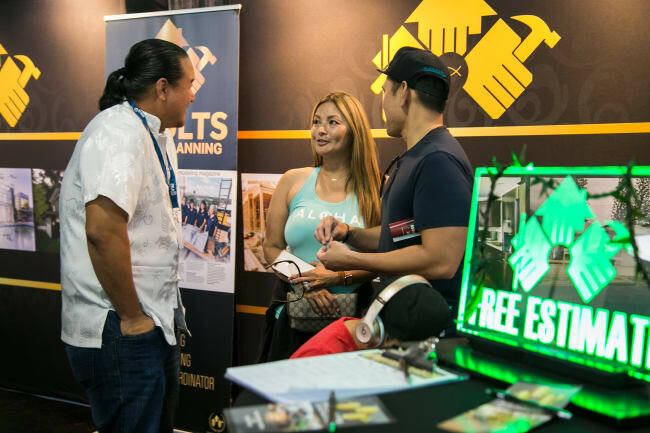 Guests have the opportunity to meet and talk to licensed contractors and suppliers, attend informative seminars and find a little inspiration. We are currently accepting commitment forms for the January 2019 show and invite previous exhibitors and new exhibitors to reserve their space before September 24, 2018. 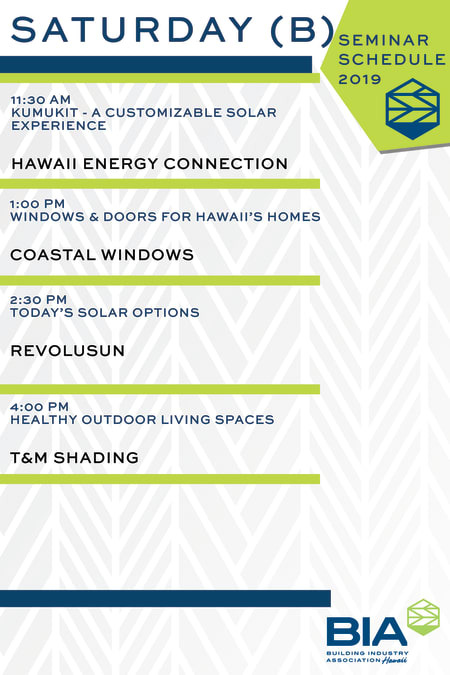 For more information, contact Benedict Juliano, at (808) 629-7511 or baj@biahawaii.org.